In 1862, Confederate Major General Kirby Smith ordered an offensive into Kentucky. The advance team was led by Brigadier General Patrick R. Cleburne who had his cavalry led by Colonel John S. Scott out front. On August 29th, the cavalry began a skirmish with Union troopers on the road to Richmond, Kentucky. By noon, the Union infantry and artillery had joined the fight, causing the Confederates to retreat to Big Hill. Pressing his advantage, Union Brigadier General Mahlon D. Manson sent a brigade to march towards Rogersville and the Confederates. Confederate Victory. 5,650 casualties of which 4,900 were Union soldiers. The day ended with a brief skirmish between the Union forces and Cleburne’s men. During the evening both Manson and Cleburne discussed the situation with their superior officers. Union Major General William Nelson ordered another brigade to attack. 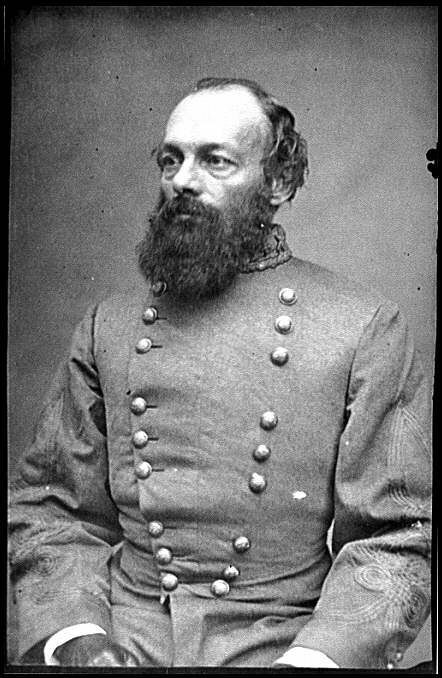 Confederate Major General Kirby Smith gave Cleburne the order to attack and promised reinforcements. In the early morning hours, Cleburne marched north, won against Union skirmishers, and approached the Union line near Zion Church. Over the course of the day, reinforcements arrived for both sides. After exchanging artillery fire, the troops attacked. The Confederates were able to push through the Union right, causing them to retreat to Rogersville. They tried to make a stand there. At this point, Smith and Nelson had taken command of their own armies. Nelson attempted to rally the troops, but the Union soldiers were routed. Nelson and some of his men were able to escape. However, by the end of the day, 4,000 Union soldiers were captured. More significantly, the way north was open for the Confederates to advance.